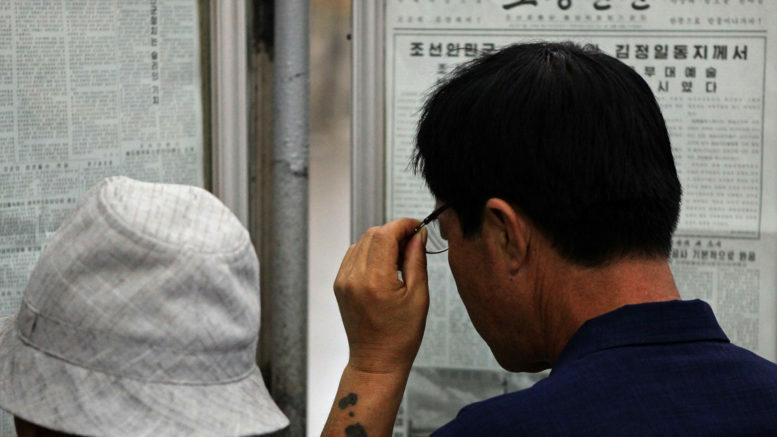 The DPRK has again been ranked the second worst country in the world for press freedom. 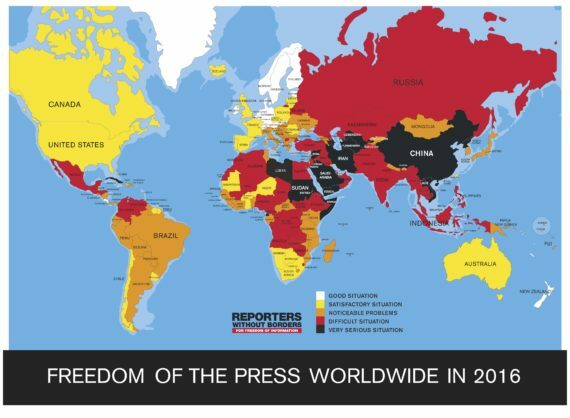 In a report that brings no surprises, Reporters Without Borders placed North Korea 179th in the world — better only than Eritrea. North Korea has consistently been at the bottom of the group’s annual press freedom ranking since it began 15 years ago for its lack of independent media, jamming of foreign radio broadcasts and almost complete ban of the Internet. While article 67 of the country’s constitution guarantees a free press, in reality every newspaper, radio station and TV outlet is run and tightly controlled by the government. News broadcasts are filled with propaganda about the ruling Kim family, the Workers’ Party of Korea and the Korean People’s Army. In the past year, the situation inside the country hasn’t changed, but outside there have been some notable changes. The BBC has begun planning to launch a daily news bulletin in Korea aimed at the country and the South Korean government has increased its propaganda broadcasts. USB sticks containing movies and entertainment continue to flood the country through its porous border with China. Across the 38th parallel in South Korea, worsening relations between the government of Park Geun-hye and the media caused that country to sink 10 spots in the ranking to 70th.